That’s beautiful. I have never seen a flower this color. Thank you Laura. It fades to such a beautiful pale lime green. A favourite this summer. Thanks for your comments. Wow! 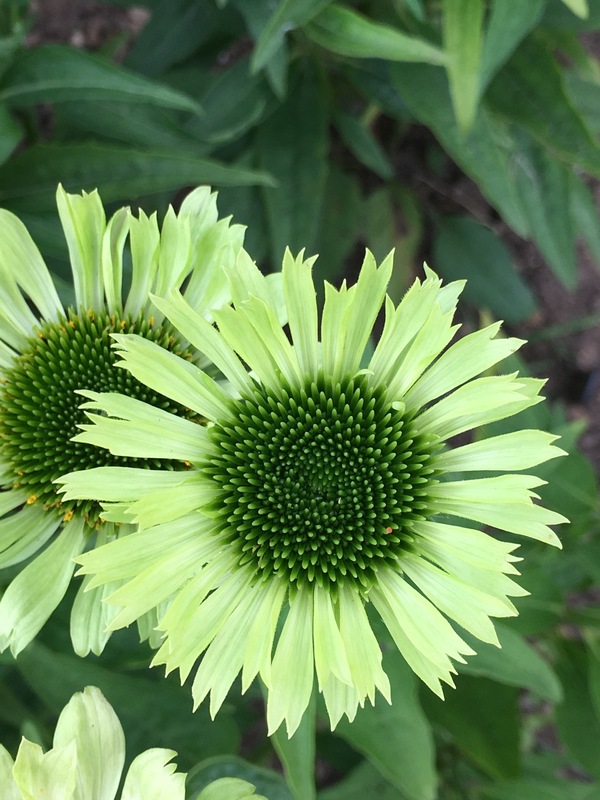 I love it, but it is too dry for Echinacea here unless in the cut flower beds – ah! there’s a thought, I love green flowers. Thanks for your comments Christina. It likes being on the dry side. winter wet wouldn’t suit it. Have planted mine in plenty of leaf mould with lots of grit for drainage. I’m very fond of green flowers too. Very useful for setting off the more exotic colours in the cut flower patch. Thanks. Great picture, it captures the beauty of this stunning late bloomer. Noted! Such a lovely colour and the centre is really beautiful. Thanks for your comments. It’s a beauty. How long have you had it? Does it survive a winter? Just this summer. planted in the spring. has flowered all summer long. Hope it over winters. will throw some fleece over it and mulch with grit for drainage- just in case. Thanks for your comments. What an enchanting colour. I was wondering about overwintering too. Good luck with your protective measures. How lovely, Karen. A really interesting colour for Echinacea. It’s a magnet for bees too. Thanks for your comments. Much appreciated. Wow! This is a unique flower, thanks for sharing and thanks for “following” me!